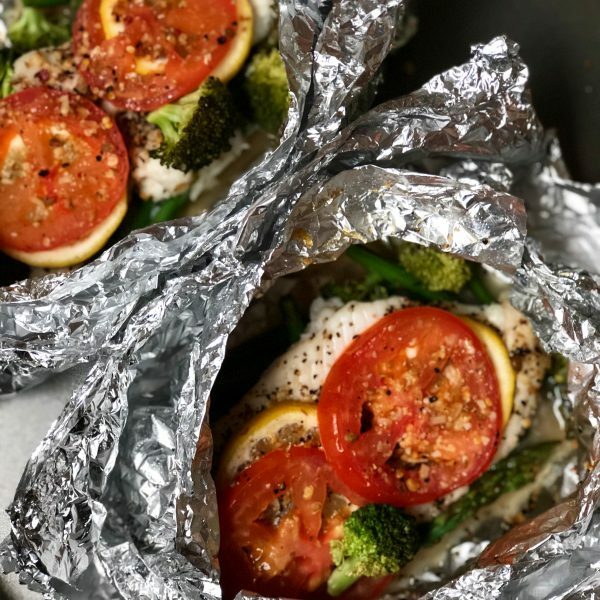 This easy fish foil packet recipe is a game changer! After a long day at work and then heading to the gym, the last thing I want to do is whip up an intricate dinner and then have to wash all the dishes, pots and pans. I love recipes that are quick, easy and delicious; luckily this recipe is just that! I was craving another form of lean protein since I eat a fair amount of chicken and ground turkey. As I wandered the aisles of Trader Joe’s (where I find myself at least a few nights a week), I came across the frozen fish section. I thought, ok, let me give this dover sole fish a try since my usual go-to’s are tilapia and salmon. I grabbed a package of frozen dover sole, which is reasonably priced at TJs, and threw it in my basket. What’s a healthy meal without your veggies? So I grabbed some of my faves, a few spices and headed back home to whip up this easy one pan (or foil) dish. This was one of the easiest dinners that I’ve made in a while and one of the healthiest. Full of lean protein, veggies, healthy fats and seasoning, it’s a great meal to cook up to enjoy solo, with your friends or significant other! Trust me, they’ll be impressed and you will be grinning from ear to ear knowing how easy it was to make. Better yet, how easy it was to clean up! Easy, lean, clean, quick, no mess dinner meal. Ready in 20! Get 4 squares of aluminum foil and lay them out on a counter top or on a baking sheet. Use some of the oil and brush each piece of aluminum foil. Cut asparagus spears in half and divide amongst aluminum square foil packet. Add broccoli to each foil and season with salt and pepper. Place fillet on top of vegetables and season with more salt and pepper. Top with sliced lemon and tomato. Drizzle with a little of oil and add everyday seasoning or seasoning of your choice. Fold into packets. Start by bringing two ends together to tent over the ingredients and fold in tightly. Fold over, tightly, the two ends (2-3 times). Make sure it is sealed all around. You may add an additional piece of foil to ensure it is sealed. Place all four packet on a baking sheet and bake for 20 minutes. After it is done cooking, open the sides to let some steam escape. 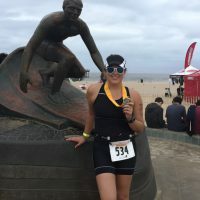 Empty contents onto a plate or eat right out of the packet!